Fandom In Stitches: Now with even more time travel! Now with even more time travel! Just one week after the grand finale of the Doctor Who Stitch Along, we're back with more Doctor Who and a fabulous alternative quilt layout for our wonderful stitchers! Give a great big Fandom In Stitches welcome to our newest designer, Jenna Johnson! 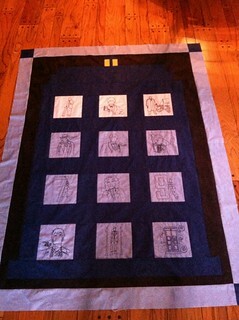 Follow this diagram to create your own lovely TARDIS quilt. Jenna has included 12 spaces so you can include the designs from the Doctor Who Stitch Along! 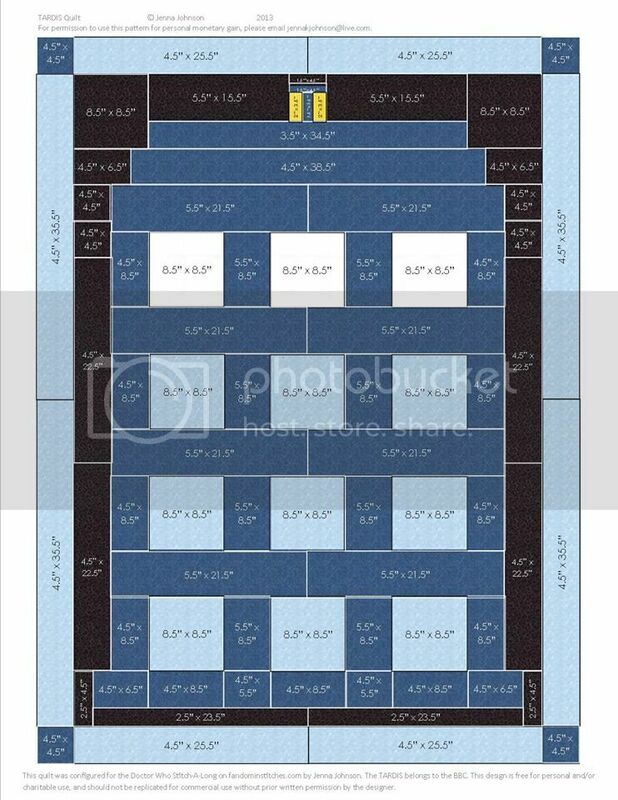 Please note that the sizes on the diagram are cut pieces and include seam allowance. Be sure to stop by Jenna's blog and say hello! Love Doctor Who? We have oodles of fabulous free fandom designed patterns RIGHT HERE! Great Layout! Thanks sooooo much. My daughter will LOVE it!